Joining this week’s Yarn Along over at Ginny’s with a finished and a new project and one in progress. 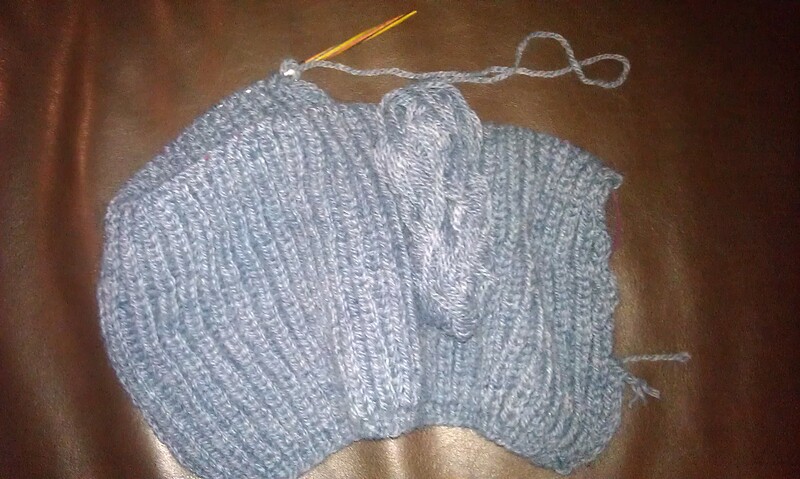 The big cardigan has come along quit well compared to last week when I had just ripped what I had already knitted. I use English rip as pattern which makes it extra think and fluffy but also uses lots of yarn. Good that I have 24 skeins of wool. My reading hasn’t been coming along much further. But well, it is suppossed to be cold again so I guess I will have a bit of time to finish my cardigan and read some more. Checking Ginny’s Yarn Along some weeks ago I ended up on YarnKnitReadLit. The blog linked to the pattern for those cute little owls at Repeat crafter me and I thought, why not try that too. I have a drawer full of left over yarn bits and the owls could make cute little give aways. 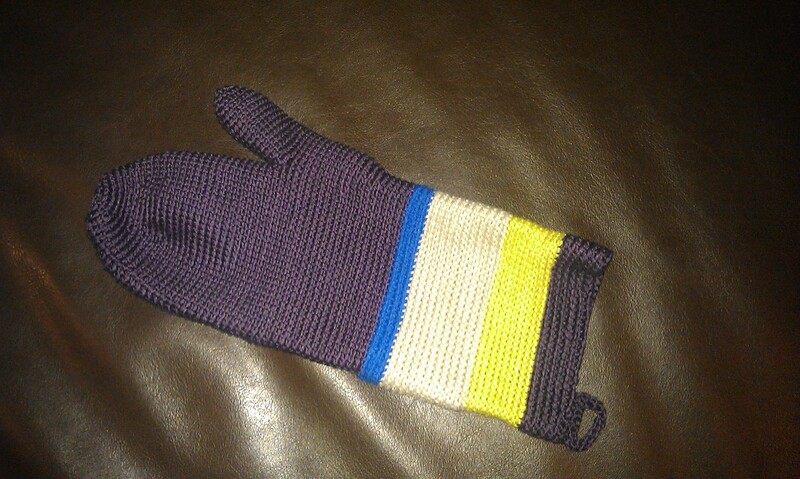 But now that I finished crocheting my oven glove I can really not be bothered to crochet any more (except for some matching oven cloths but that’s it). So maybe some of you like crocheting better than I do and have fun using this pattern. This entry was posted in Knitting & Crocheting and tagged Cardigan, Crochet, Hexipuffs, Knitting, Yarn Along by kathatravelling. Bookmark the permalink. They are. I have so much fun with them (even though I’m actually not knitting the exact version of what I link too, but basically they are the same. I love how you are making one for each day of the year! i should try to keep up. They are so fun, aren’t they? They are. And one for each day seems to be feasable. You either find the time to really make one each day or you find a day to make a few for the next days. 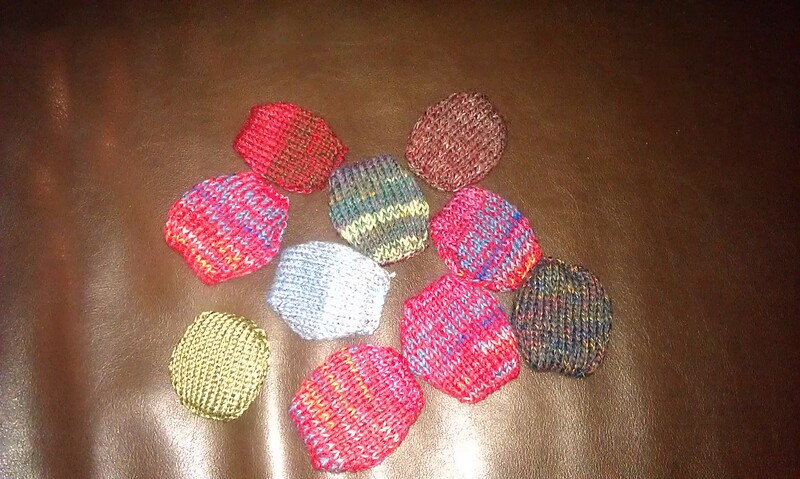 Loving making hexi puffs at the moment. I’m using the same target as you. I’m one day a head. They are definitely addictive. They are. And there seem to be quit a few people making some at the moment. Aren’t hexipuffs fun? I love how quick and satisfying they are. Thanks! Only one question: why would you make hexipuffs other than to put them together as a quilt? That’s a great idea for the hexipuffs. It looks quite overwhelming as a whole, but one a day seems manageable. Maybe I’ll join you! Do so! They are so much fun!